The first inhaled insulin, Pfizer’s Exubera, was approved by the FDA in 2006. It was ultimately removed from the market a year later due to poor sales. In theory, the lungs are an excellent site for insulin delivery due to a large surface area as well as a very thin separation between the lungs and the blood stream. 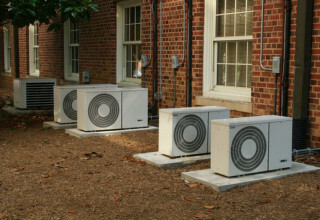 This allows for rapid transfer of the inhaled insulin without breakdown. In clinical trials of ~3000 people with Type 1 and Type 2 diabetes, A1c reductions with Afrezza were modestly inferior to insulin aspart in people with Type 1 diabetes, but superior to placebo in people with Type 2 diabetes treated with oral medications. Fasting blood glucose levels were lower in people treated with Afrezza compared to aspart. Clinically insignificant reductions in lung function were reported with initiation of therapy. These change were not progressive, and returned to baseline when therapy was discontinued. Hypoglycemic risk, and weight gain, were less in people treated with Afrezza compared with those treated with aspart. In contrast to the large inhalation device required for Exubera, the Afrezza Dreamboat inhaler is a much smaller device (approximately the size of an asthma inhaler) that easily fits in the palm of your hand. 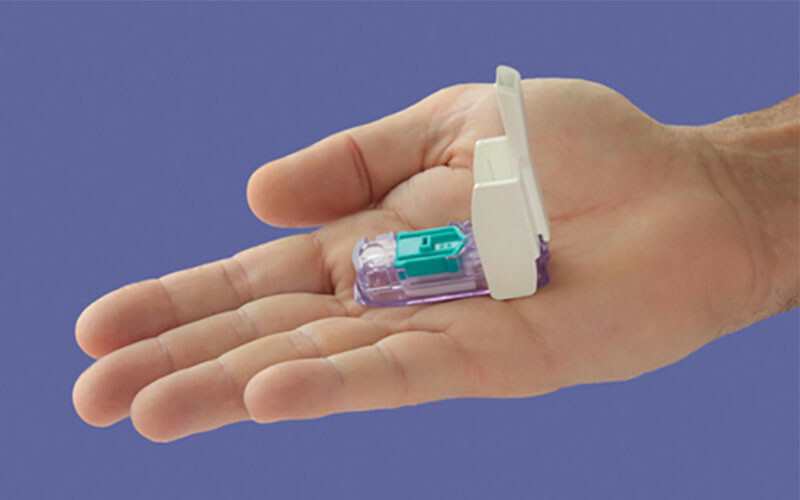 Afrezza is available in two strengths: 4 units (a blue cartridge) and 8 units (green cartridge). The doses are equivalent to 4 units and 8 units respectively of a rapid acting mealtime insulin. The inhaler may be used for up to 15 days. If you need more than 8 units of insulin, you will need to use an additional cartridge. Afrezza is delivered in powder form in a capsule. Compared to nebulizers, powders are able to deliver more insulin and are more stable. After inhalation, the powder is aerosolized for delivery to the lung. Peak levels of action are achieved within 12-14 minutes. The duration of action is up to 3 hours. Due to inhaled insulin’s relatively short duration of action, it can’t be used as a basal insulin. It must thus always be used with a basal insulin in people with Type 1 diabetes. Dosing is recommended immediately before a meal or within 20 minutes of beginning the meal. Side effects include a mild cough (27%), throat irritation or pain and hypoglycemia. Inhaled insulin is contraindicated in people with lung disease such as asthma or COPD due to variable insulin absorption and reduced efficacy. Baseline lung testing (with FEV1) should be obtained before beginning treatment. Lung testing is also recommended at 6 months, then every year. If there is a >20% decline in FEV1 during treatment, therapy should be discontinued. Smokers should not receive inhaled insulin due to increased permeability of the lung-blood membrane resulting in increased insulin absorption. The impact of second-hand smoke is unknown, but should be considered. Although studies reported no loss of efficacy in the setting of simple upper respiratory infections, data is lacking regarding efficacy and safety with more severe lung infections. Until more is known, increased caution is advisable even in the setting of mild infections. Satisfaction with treatment has been uniformly high in the clinical trials, with at least one study reporting a 3x increase in satisfaction in subjects using Afrezza. Potential disadvantages include reduced flexibility of dosing (especially in those who are very insulin sensitive), too short a duration of action, absence of long-term trials comparing inhaled insulin with prandial analogue insulins, increased prevalence of insulin antibody formation, the need for lung testing throughout treatment, and concerns regarding long-term effects on the lung, especially with respect to lung cancer cells. Inhaled insulin is clearly an interesting option, but as with any therapy, should only be started after reviewing risks and benefits with your physician. 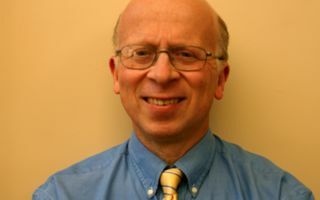 Michael Dempsey, M.D. graduated from Brown University with a degree in Biology in 1979. He subsequently attended the Harvard Medical School, where he received his MD degree in 1983. Previous PostMental Health: Seeking a TherapistNext Post Mental Health: Who Should Seek Therapy?